Look out your window; do you have any woody shrubs in your back yard? When was the last time you gave them some attention and hired a tree trimming service? Although it seems unimportant compared to the hundreds of other things you need to think about in your everyday life, but it is actually more important than you think. It may also come as a surprise to you that DIY’ing the job isn’t the best idea; instead, paying for a trained professional is the superior option – for you, and your plant. If you are still on the fence about hiring a professional tree trimming service, here are a few reasons why it is necessary and worth the money. 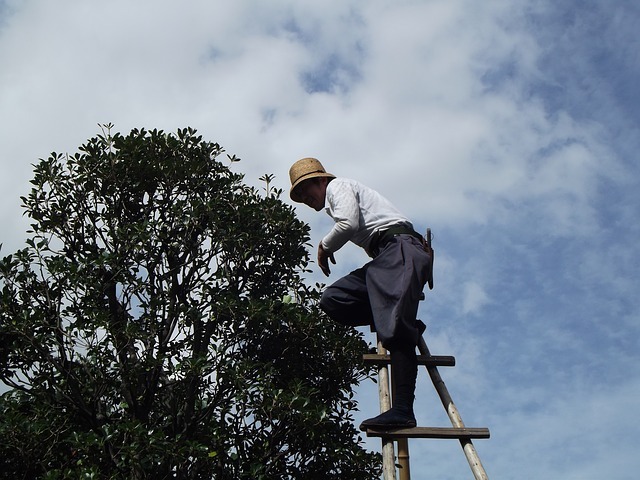 The first reason why you should hire a tree trimming service is quite widely known; it helps the plant grow. But, this will only happen if the correct technique is used when pruning. What you may not know, is why pruning helps the plant grow. The answer to this is interesting, clipping a shrub’s branches actually has an impact on the roots- it makes them stronger. The result of this means the plant will be more likely to withstand harsh weather conditions, and generally makes the plant healthier. The healthier the plant, the better it will grow. Similarly, to any living organism, plants can get diseases. If a plant has lots of dead or old branches, the more likely it is to get some form of disease. Therefore, pruning can help to prevent illness. It can be really hard to tell if your tree has a disease unless you are a professional, but a great way to treat a potential issue is through pruning. Often clipping limbs off of a plant is the cure for illness. This means if you regularly get your woody shrubs pruned, you are ensuring that a disease gets removed before it becomes a major issue. What does this mean for you? The simple answer, in the long run, it will save you money. Any species of woody shrub that grows fruit will benefit from a tree trimming service. Any dead wood on the plant encourages pest infestations, and therefore reduces the health of the plant. Clipping dead parts from any shrub will also make it more likely that spurs will appear, meaning more fruit will grow the following year. Essentially, if you prune your fruit plants, you get to enjoy the produce the following year. Probably the most important reason to hire a tree trimming service is because an overgrown woody shrub can become dangerous. It isn’t uncommon for dead (or dying) branches to fall onto a power line, or the roof of your house during a storm. Even without bad conditions, branches can sometimes fall or grow into power lines. The cost of pruning a woody shrub is far less expensive than fixing a problem caused by not pruning. So regularly pruning your woody shrubs will not only keep you safe, but it will also save you money. Although this may not be as important as keeping you and your property safe, having a pretty, well maintained plant on your land can increase the value of your home. It is no secret that pruning will have a positive impact on the aesthetic of your shrub. Removing dead limbs, or limbs that are growing faster than others will make the plant look much neater. In many ways pruning a woody shrub can be likened to getting a haircut.